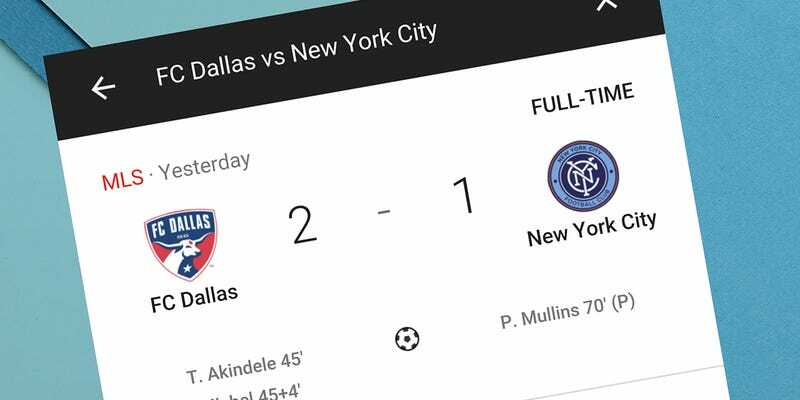 If you’re a sports fan then you might well have Google Now set up to ping you with updates about your favorite teams... but what about those times when you’re watching the game later and don’t want to spoil the surprise? The Android app lets you hide score spoilers until you’re ready to see them. Scores can be hidden on a team by team basis so you need to actually add a team to begin with. From the Google Now app menu on Android, choose Customize, Sports then Add a team. Start a search and then pick your team when it appears to add it to the list. Spoilers are hidden from the actual Google Now cards themselves, so make sure you do this before the game starts: Tap the menu button (three vertical dots) and choose Hide spoilers. Live scores won’t appear on the card any longer, but you can tap through to see them; to undo the change, go back to the Sports screen on the Customize menu.